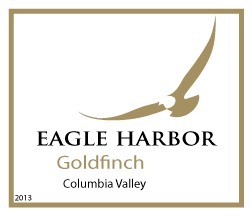 2019 Goldfinch is best Goldfinch we have produced yet! This is our traditional white blend of steel fer-mented Chardonnay (65%), and barrel fermented Viognier (35%) Pronounced notes of D'Anjou pear on the nose and palate. A delightful sipping wine, perfect with food too!